The recent market sell-off has created some bargains in the financial sector. The stock market has been volatile lately, and one of the hardest-hit areas of the market has been the financial sector. While it's certainly not been a fun time to have lots of bank stocks in your portfolio, the silver lining is that there are now some opportunities to load up on high-quality bank stocks while they're on sale. With that in mind, here's why three of our contributors think that Bank of America (NYSE:BAC), BB&T (NYSE:BBT), and Axos Financial (NYSE:AX) are worthy of a closer look right now. Matt Frankel, CFP (Bank of America): Over the past couple of weeks, the stock market has performed poorly, and the yield curve has partially inverted. Not only is an inverted yield curve a pretty good recession predictor, but it's also generally bad for bank profits. Because of this, fears of the effect on bank profits have caused the entire sector to underperform. So it's tough to pick just one bank. Having said that, I think Bank of America is a particularly attractive bank stock to buy now. I've written before about the bank's tremendous improvements over the past few years, and my thoughts on this haven't changed. Bank of America is now trading for less than its book value for the first time since before tax reform catapulted its profit potential higher, so it looks like a no-brainer. Finally, the bank is the best positioned of the large banks to benefit if long-term interest rates reverse course, with a high proportion of non-interest-bearing deposits. In short, I think the current recession fears are overblown, the economy is stronger than most people seem to be giving it credit for, and the Fed will continue raising rates at least a few more times before slowing down. If you agree with that last sentence, Bank of America is a stock that belongs on your watch list. Jordan Wathen (BB&T Corporation): This plain-vanilla regional bank has everything investors want in a quality bank stock: impressive underwriting results, outsize fee income, and a valuation that doesn't require extraordinary performance for good investor outcomes. BB&T Corporation doesn't have the complexity of larger national banks. It earns its money the old-fashioned way, primarily by taking deposits and making loans, with more than half of its loan portfolio (about 57% of the loan book) dedicated to commercial loans and leases. Its conservative underwriting culture is reflected by its low net charge-off ratio. In the most-recent quarter, the company reported that it charged off just 0.35% of its loans on an annualized basis. The bank also benefits from fee-producing business lines, including a highly productive insurance business that generates more than one-third of all non-interest income. Insurance brokerage is attractive because unlike mortgage origination or asset management, its performance isn't driven by interest rate fluctuations or the ups and downs of the stock market, which helps the bank diversify its income sources. 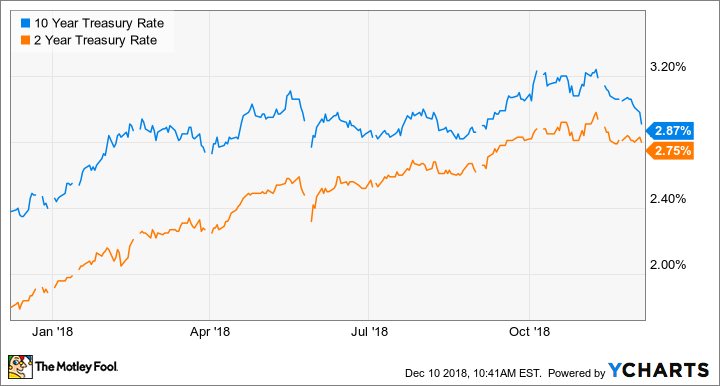 Best of all, BB&T shares trade cheap relative to their quality, with shares recently trading for little more than 12 times what they could reasonably earn in 2018. Dan Caplinger (Axos Financial): The internet revolution has changed everything about the way consumers conduct their financial affairs. E-commerce has made it possible to obtain nearly anything you need or want from online sources without ever leaving the comfort of your own home. Similarly, online banks have given people access to valuable financial products like checking and savings accounts, CDs, and loans without having to travel to physical bank branch locations to complete reams of paperwork. Axos Financial was one of the pioneers of internet banking, having only recently changed its name from BofI Holdings, an acronym for its Bank of Internet banking subsidiary. A lot has changed since Axos blazed a trail through the internet banking world, and competition has made it necessary for the internet-based giant to deepen its capabilities to stand out from the crowd. That's a big part of why Axos has rolled out a new proprietary banking platform. Known as the Universal Digital Bank, the platform combines all of the bank's products and services into an integrated unit, allowing customers to get offers that are custom tailored for their particular needs. By tying together what had previously been separate parts of Axos' business that didn't necessarily communicate perfectly, the bank will better exploit business opportunities with the hope of boosting profit. Axos has been a leader in internet banking for a long time. With its latest moves, the bank hopes to keep that leadership position and build on it for the years to come.